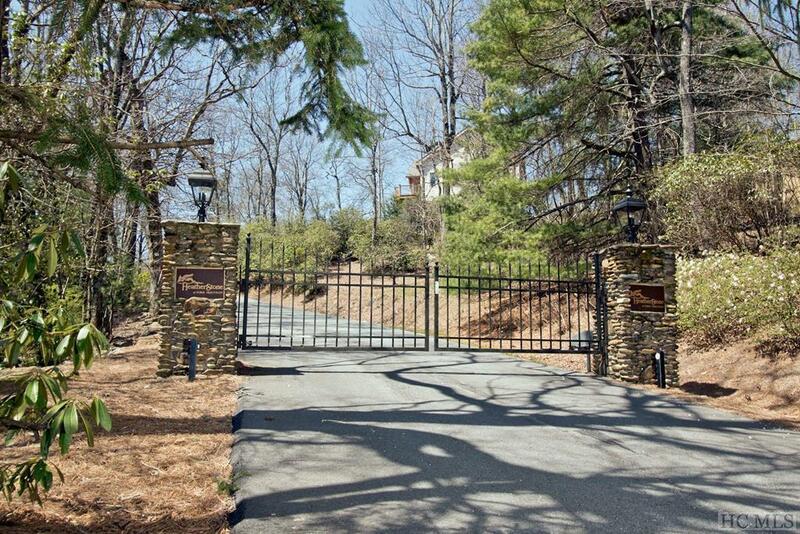 High Elevation (3800 ft)/Awesome View home located on 2.19 acres high up in one of the most desirable gated communities on the Atlanta side of the Highlands Plateau. 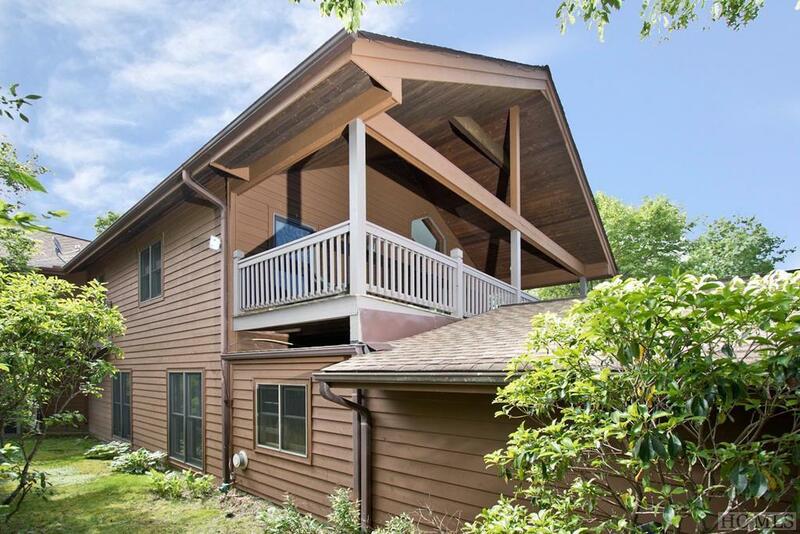 This 2 story 4BR/4.5 BA home with ELEVATOR will appeal to those who truly want a spacious mountain home with plenty of glass and doors opening to 360 degree of fabulous mountain view enjoyed by covered or open porches off of every room. 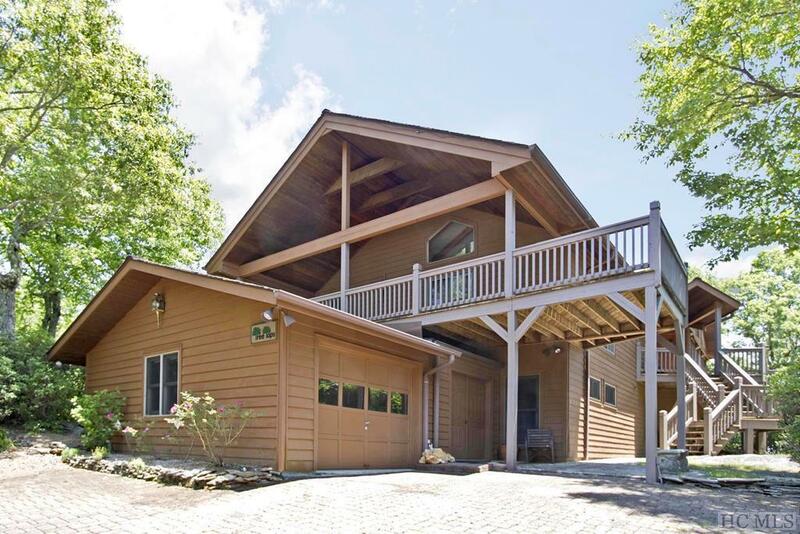 The home boasts an open floor plan with high vaulted cedar ceilings and open beams. The home offers spacious rooms, oak floors, recently remodeled bathrooms and kitchen with granite countertops and stainless steel appliances, three fireplaces including a wood fireplace in the great room and a gas fireplace in the unusually large main level master suite with private porch. 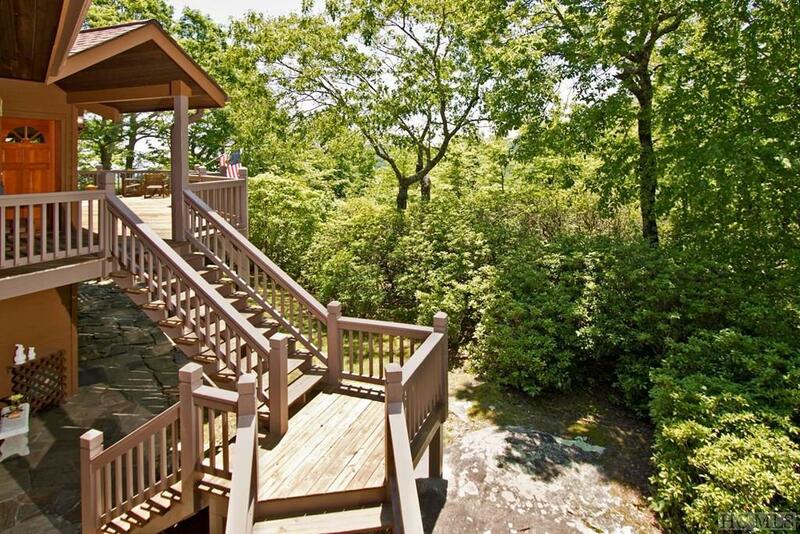 The lower level den, bedrooms and outside decks are perfect for families that entertain guests during the season. The home also has nurtured garden space for the mountain gardener. The top of the mountain community consisting of 28 secluded homes has unusually well maintained flat paved roads great for running or dog walking. In addition, the beautiful naturally landscaped community offers fishing ponds, picnic tables and places to sit down and enjoy sunsets and sunrises. The community is adjacent to the Nantahala National Forest and is a short walk away from the Bartram Trail. Two miles down the street is Sky Valley Country Club's 18 hole golf course and swim, tennis and fitness amenities. The community of Heatherstone Tops is 10 miles from Main St. Highlands and 6 miles from Dillard, GA and Route 441 major highway to Atlanta. Great NEWS-Seller have had HOME INSPECTION which has come back with NO DEFICIENCIES. This house has been well maintained and will be problem free for Buyers. Listing provided courtesy of Nancy Plate of Highlands Sothebys Intl Rlty - Dt Office.